With Boston City Campus & Business College now open for mid-year registrations for diplomas and degrees, Boston’s Marketing Manager, Natalie Rabson, uses the opportunity to reflect on how attaining a higher education can help address the issue of unemployment. “According to Adcorp labour market economist, Loane Sharp, the retrenchment rate is now at a 10-year high – in January alone our economy shed 36290 jobs – while the unemployment rate increased from 22.5 percent in 2008 to 25.20 percent in the first quarter of 2014. Then there’s the recent news that youth unemployment had soared from 32.7 percent to 36.1 percent in the six years from 2008 to 2014,” says Rabson. For Rabson, the importance of attaining a higher education has a twofold significance that can both directly and indirectly address these issues of unemployment and retrenchment. “Firstly, the relevance of a vibrant higher education sector is recognised internationally and investment therein, whether through individuals who take up further studies or through government funding, promotes economic prosperity and greater employment. Secondly, we need to remind ourselves just how important a relevant qualification is when looking for work or merely trying to stay secure in one’s current job. Unemployment and retrenchment statistics are showing us a rather desperate reality and especially for the unemployed, it’s time to step up,” adds Rabson. “You should waste no time in assessing your situation. Start by asking: Am I on the right career path? Are there areas in my specific skills set where I need to improve? Do I have the proper qualifications and tools to apply for a job with confidence? Is a matric certificate, diploma or degree enough in our highly competitive market? And, where do I want to be in a few years from now? Only after addressing these questions should one make the decision on what to do next and how to do it best,” says Rabson. Alarmingly, these days a relevant qualification doesn’t automatically guarantee your employability, especially if you don’t have work experience to go along with it. That in itself is no reason not to study further; gaining a competitive edge and acquiring the necessary skills do after all form the foundation of employability. And to those who are fortunate enough to think they have secure jobs, Rabson has the following message: “Don’t be too comfortable. Considering the current volatile nature of our economy, many companies, big and small, have moved into ‘survival mode’. Retrenchment is a natural result thereof,” says Rabson. Rabson further reminds us that in South Africa acquiring a higher education has helped many people start their own businesses and grow these into successful companies. Statistics from the Department of Trade & Industry show that these small and medium enterprises contribute between 52 to 57% to our Gross Domestic Product and account for approximately 61% of employment. “So yes, entrepreneurship definitely does seem to be one possible cure for the unemployment rate. If more people had the drive and skills to start their own businesses, things might be less dire. The other reality is that these businesses operate in a highly competitive market and whilst some do become successful entrepreneurs without having studied further, many soon realise that up-skilling and acquiring a higher education is essential for survival,” adds Rabson. Mid-year registrations for diplomas and degrees at Boston City Campus & Business College are now officially open for everyone and run until 25 July. Prospective students don’t have to wait until next year to start their studies; they can still start in 2014 and immediately after registration has closed on 25 July. Not only will this give full time students a head start, but also those who are currently employed and want to further their studies on a part time basis. For those students who have applied to study a Unisa degree through Boston and have already registered at Unisa, tuition will also start in July. Do note that whilst the closing date for Unisa applications was on the 25th of April, the closing date for registrations at Unisa is 11 July. Boston now also offers two brand new industry relevant courses: a Diploma in Business Management and a Diploma in Events Management. For more information on these courses as well as all the other degrees and diplomas offered by Boston, please visit: www.boston.co.za. 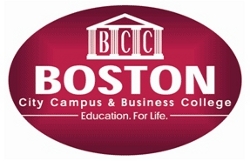 Article issued by Boston City Campus and Business College. To view their profile on SAstudy, click here.